I am currently the technology teacher at Monroe Middle School. I have been in the Campbell School District for over ten years and have taught language arts and social studies in addition to technology. 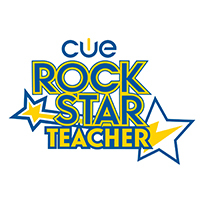 I previously worked at a private school where I taught 6th grade math and science for 7 years. I received by Bachelor's degree from Lewis and Clark College, in Portland Oregon and my masters in cross-cultural education from National University, in San Jose, CA. I have been happily married to my husband for over 30 years and have three children, ages 32, 30 and 27. I also have two son-in-laws, a grand stepdaughter, and 3 grandchildren! I love teaching and watching the spark light up as students discover knowledge they didn't know or talents within themselves! I have earned my Leading Edge certification as a Digital Educator through the Santa Clara County of Education. To find out more out LEC certifications go to http://www.leadingedgecertification.org. 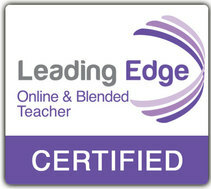 I have earned my Leading Edge certification in Online and Blended Teaching through the Santa Clara County of Education. To find out more out LEC certifications go to http://www.leadingedgecertification.org. This is my avatar, you will find it on most of my online identities, so you will know that this is my page. Click here to Androidify yourself. Their motto? "Be Together, Not the Same."